The Progressive Leadership Alliance of Nevada (PLAN) is a permanent, statewide progressive coalition founded in 1994 by 12 member groups including the Nevada AFL-CIO, Inter-Tribal Council of Nevada, Nevada Women’s Lobby, and the Sierra Club. The founders shared the belief that bridging divisions of race, class, immigration status, gender, sexual orientation, and geographic regions was critical to creating a cohesive force to transform democracy and create a more just and humane state. Now 25 years in, PLAN has established itself as a leader in non-partisan voter mobilization, progressive policy, base-building, and leadership development in Nevada. Not everyone remembers that the coalition nearly folded after just one year of existence, when expectations of national foundation funding didn’t materialize and in-state donor funding had been maximized. This paper tells the story of PLAN in order to illustrate a common set of challenges that permanent civic engagement groups face in navigating the always uncertain waters of financial viability. Groups like PLAN have been held back by the pattern in which voter/civic engagement funding comes in boom-and-bust cycles—strong in even years and especially presidential years, but precipitously dipping in “off” years. The story will no doubt be familiar to my colleagues in other organizations and states, even if we don’t always talk about it in mixed company. So far, PLAN has been successful; but not all organizations are so fortunate, even if they are doing critical, committed, and innovative work. Moreover, arguably none is able to reach its real potential—to make the most of the even-year “boom” funding investments. This paper examines PLAN’s funding history in detail, and notes what we have been able to do with the steadier funding received in recent years. It then concludes with some recommendations. It’s important to note that it’s much better to have national funding, even when it is a boom-and-bust cycle, than none at all. But the pattern of single-year funding during hot election years holds groups back in many sinister ways, leading to dysfunctional planning, staff turnover, loss of momentum, and painful employment decisions that have real life consequences for paid organizers and overall state movements. Moreover, it severely diminishes the work of voter and civic engagement organizing. For the first 14 months of PLAN’s existence, in-state donors, notably Nevada philanthropist Maya Miller, provided nearly 100 percent of funding—a $30,000 budget that supported 1.5 staff persons. After nearly folding, the organization received its first grant in December 1994, in the amount of $25,000, from the Rockefeller Family Fund. An additional general support grant in 1995, with continued support from in-state donors, allowed the organization to hire its first full-time organizer in Las Vegas. This made PLAN, at 2.5 FTE, the largest and only statewide progressive organization in the state. PLAN was able to establish its organizing roots in the state, conducting major events such as a massive rally with organized labor to protect workers compensation, providing organizing assistance and building collaboration among member groups, and working to defeat anti-choice measures and make Nevada the 13th state to pass comprehensive hate crimes legislation. In those years, Nevada was still not seen by many national organizations as a major target for expanding participation among what is now called the New American Majority. At the time of our founding, the Nevada electorate was 90 percent white, but trending toward increased populations of immigrants and communities of color. In order for PLAN to build real power, let alone remain relevant, we needed to expand our solidarity with immigrants, youth, and communities of color. But without additional funding, this would not be possible, since it required—at a minimum—hiring organizers from those communities. Our first three staff members were white. In PLAN’s first years, the concept of “year-round civic engagement” wasn’t fully formed, let alone funded. We knew that going into low income and communities of color every two to four years to say “register and vote” was tokenizing and shallow. Yet that was the prevailing pattern—in a sense the only available option—as dictated by funding. How were we going to establish roots and trust in Native, Black, Latino, youth, and other largely excluded communities that were essential to building long-term power by showing up one year and disappearing the next? We were able to raise more in-state funds, but barely enough to support one staff person, and had an extremely difficult time raising money from national foundations. This story is likely familiar to a lot of groups that seek to change what is possible in their states, and who want to stop politicians from rigging the system on behalf of big corporations and the wealthiest. That takes organizing that is smart, sustained, and well-resourced. We only had the first third of that formula. During those early years, progressive statewide coalitions were also forming in other western states including Idaho, Utah, and Wyoming, and directors from those states came together quarterly to discuss funding and organizing strategy. When Nevada emerged as a swing-state by barely going for Bill Clinton in 1992 and 1996 (thanks to Ross Perot’s third-party challenge), Nevada hit the national funding radar and PLAN was able to attract resources from national foundations, unlike these other state coalitions who floundered without national support. The absence of multi-year funding means that grant revenue is never predictable. This makes budget planning and contingent staffing decisions sophisticated guesswork for boards, and a source of never-ending anxiety and sleeplessness for executive directors. As the work inevitably suffers, this leads to a diminishing return on investment. Instead of cultivating a deep bench of leaders and building lasting relationships, funding troughs cause us to lose local leaders whose homegrown, on-the-job experience is the secret sauce of long-term results in movement building—from policy gains to organizational strength. For PLAN, during the boom years, we scrambled to hire organizers and canvassers. It is always a welcome change to be able to “staff up.” But even in those boom years, decisions are hampered by unpredictable funding and checks that usually come in the fall, sometimes after Election Day. PLAN didn’t have a full time field director until 2012, relying instead on program organizers to hire and supervise temporary canvassers and phone bankers. Our biggest boom year to date was 2012, when we broke a million dollars in revenue for the first time. It was followed by our worst bust year ever. In 2013, we barely raised $400,000, had to lay off most of our staff, and as a result, severely diminished our tax, economic justice, and immigrant rights organizing. We also pared down our travel budget, which really hurt because in a statewide organization whose main offices are separated by 440 miles, building cohesion by face to face meetings among leaders is key. The momentum we built in 2012 died as we lost experienced organizers, undercutting the investment from the previous boom year. Much organizing language, such as “field,” is rooted in war and military theory, so the old story about the lack of a single nail leading to the defeat of a kingdom (lost horseshoe, lost horse, lost rider, lost message, lost battle, lost kingdom) is apt here. Because we had to make such deep cuts in 2013, we lost the momentum going into 2014, where we faced one of our biggest battles in our history—to eliminate big mining’s special tax loopholes that had been enshrined in the state constitution since 1864. We lost our 2014 ballot initiative by less than 1 percent. After the funding debacle of 2013 and our mining tax defeat in 2014, I went on a YOLO (You Only Live Once) fundraising trip to New York and spoke very forcefully and frankly to national funders about this harmful boom-and-bust cycle. I remember breaking down in tears at one office when I talked about what it was like losing close battles like our mining initiative, and talking to our staff about whom to lay off and which programs to cut. Individual donors have given consistently on even and odd years, and have increased steadily over the years to more than $150,000 in 2018. Contrast this steady, predictable funding by individual donors with temperamental financial support from foundations, and you can see why we have invested in expanding our individual donor base. As the table above shows, in recent years PLAN has seen a leveling off of funding, primarily due to building stronger relationships with funders. Additionally, the value of year-round civic engagement in progressive philanthropy is slowly taking hold. National partners such as State Voices, Community Change, and People’s Action, as well as the Funders’ Committee for Civic Participation, are educating foundations about funding civic engagement work in off years. The recent leveling off and more consistent funding has enabled PLAN to vastly increase our organizing and deepen our commitment to the communities in which we work. We have built the Nevada Immigrant Coalition into a cohesive force for immigrant justice with consistent staffing from immigrant leaders. We have deepened and expanded our work in Black communities and Native communities with full-time senior organizers running volunteer leadership teams. We’ve built internal capacity by hiring communications and development staff. Building this capacity pays dividends for civic engagement success, and progressive politics and movement building, far beyond the initial year of funding. Hiring and retaining organizers from communities most impacted by the issues of injustice we’re seeking to address—such as mass incarceration and an unfair immigration system—sustains a strong ethos and ethics of community leadership. In turn, this leads to creating community-based solutions that the “experts” and others who didn’t live through the experiences of these injustices could never imagine. Additionally, our policymaking bodies are replete with professionals and bereft of those with real life experiences. Sustaining community leaders builds an experience-rich bench for future runs at public office. Finally, having a dedicated development director to work with organizers and board members to create a culture that infuses fundraising with organizing is essential to building long-term capacity that supports expanded and sustained leadership development. Still, the one consistent fact about civic engagement funding is that it is never reliable. PLAN entered 2019 with only $200,000 in foundation commitments out of a $1 million budget. As of mid-February, funders who gave us a combined $400,000 in 2018 and 2017 were non-committal about whether they would ask us for a proposal, let alone provide funding, in 2019. This shows a complete lack of respect for the field—as if we’re not even supposed to ask questions of those holding the purse strings. Other state groups are in the same boat. While foundations have a good rap about sustained funding, it’s hard to name very many that have genuinely addressed and internalized the hard lessons about boom-and-bust funding cycles. If they spent a few years in this chair, building up one year and watching it evaporate the next, they’d get it. Being open and honest with national funders about the strategic and psychological damage wreaked on state groups and leaders by their boom-and-bust cycles, single-year, and inconsistent funding, is also key. The status quo of civic engagement funding is a losing strategy. We’ve got to speak candidly with funders about the mistaken way they are investing in civic engagement organizations, or we risk them thinking it is the organizations’ model that is to blame. They can be educated if they hear it from enough of us. Boom-and-bust funding kills the spirit and momentum of otherwise powerful civic engagement non-profit organizations. To end this and create a transformational funding model, both organizations and the funding community can employ different strategies. For organizations, PLAN’s experience recommends affiliating with national stars like Community Change and People’s Action. Not only have these networks provided us funding; they have also gone to bat for us nationally and made our case at funding tables normally off limits to state groups. For years, PLAN eschewed joining with national groups for fear of losing our identity and being imposed upon by outside interests. But that never happened. State groups should become polyamorous and join national tables and coalitions to help elevate their interests. But the most pressing changes must come from the funding community. The silver bullet to end boom-and-bust funding and build the strongest organizations possible is multi-year funding, preferably for ten years and unrestricted. Unrestricted funding allows for groups to maximize their creativity and to think about opportunities to build sustained mobilizing power and develop leaders in ways unrealized in narrow grant restrictions. If unrestricted multi-year funding is not possible, funders could adopt a model in which they commit to give in odd years 75 or 80 percent of what is given in the previous (election) year. The predictability this would provide to organizations would be a game changer. Foundations can also build stronger organizations by directly funding long-view and deeper leadership and professional development. This might include making opportunities like the coveted year-long Rockwood Leadership program more accessible to leaders of state groups, or expanding Western States Center’s Western Institute for Leadership Development for emerging leaders. Finally, civic engagement donor collaboratives should be supported and expanded. Here I am thinking in particular of institutions like the State Strategies Fund of the mid 1990s, and the powerful examples of the Four Freedoms Fund and the State Infrastructure Fund that continue today. 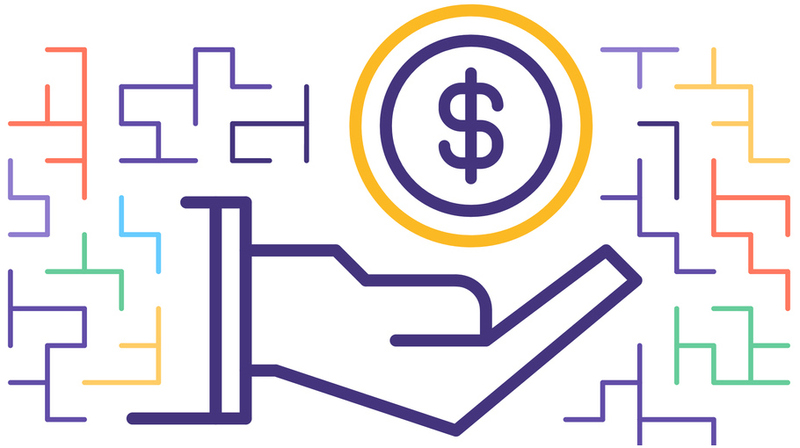 Not only do these donor collaboratives provide larger grants and technical assistance on an array of critical issues from compliance to donor expansion. They are also able to leverage reduced administrative and overhead costs to get more reliable funding to the field. As many have pointed out, such as on the blog “Non-Profit AF,” conservative funders are dead serious about building long-term state power, which is why they routinely make multi-year, long-term grants. They prefer that the organizations they fund spend their time doing the real work, instead of eking out a Darwinian survival by chasing grants. Why national progressive philanthropy isn’t doing the same is the most vexing and important question we must ask. Bob Fulkerson is the development director of PLAN, which he co-founded and served as executive director from 1994-2019.